This filler can be used for multiple purposes just like the gravity filler. 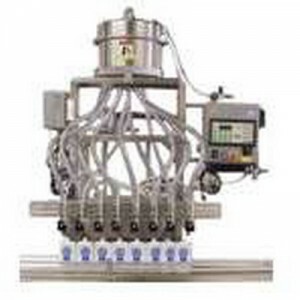 Pressure filling is permitted and it is a great machine for filling products which are very viscous, for example – gels. Pressure/Gravity Filling machines from Advanced Liquid Packaging offers a method that can be used for different purposes and is applicable for filling liquids of varying viscosity. Each model is customized with the right and required parts and with adequate number of filling heads as per the production needs of the clients. Liquid food of varying density and viscosity. Private use accessory liquids such as shaving foam, hair gel or shampoo. Liquids used for pharmaceutical purposes. Chemicals used in industries and for agricultural issues.